In the section labelled Time remaining, select a countdown time. There are two methods to select from. The countdown timer begins counting down from a specified time (e.g. 12 hours) when the visitor to the store loads the product page. The current time is stored locally so that if the visitor reloads the page, the timer will continue. 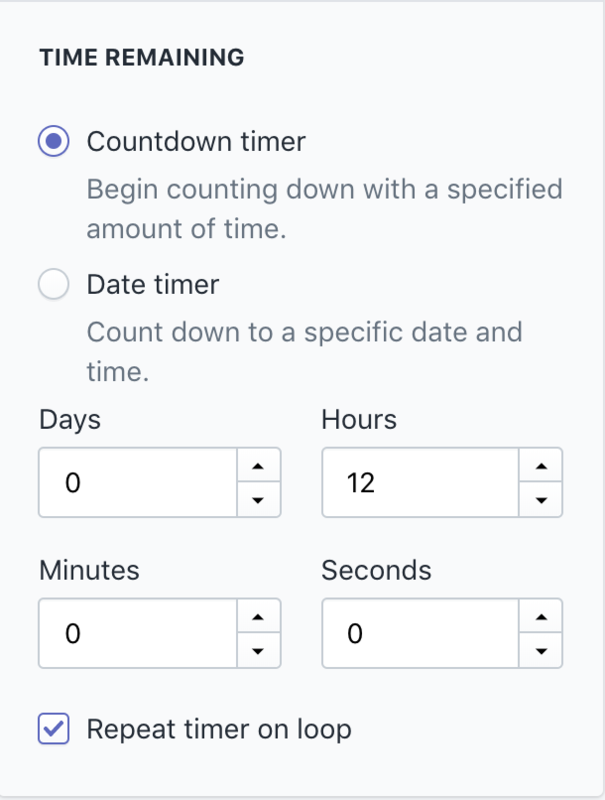 If the repeat timer on loop setting is enabled, when the timer reaches zero, it will begin again from the original time. 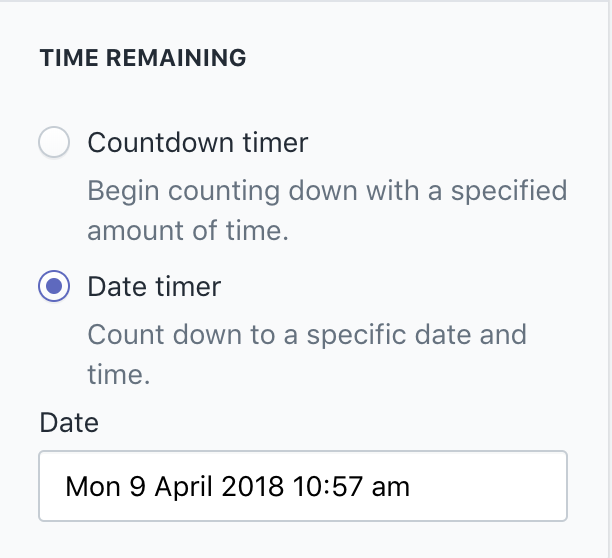 Clicking on the Date field will open a date picker that will a date and time to be selected. The timer will count down to the selected date and time.